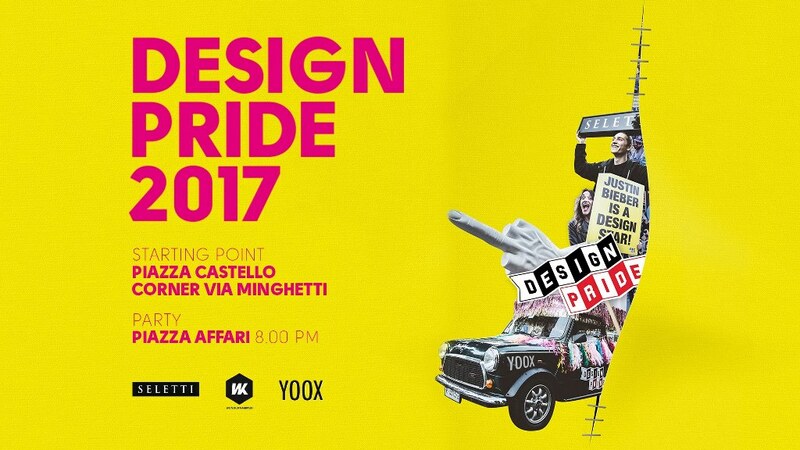 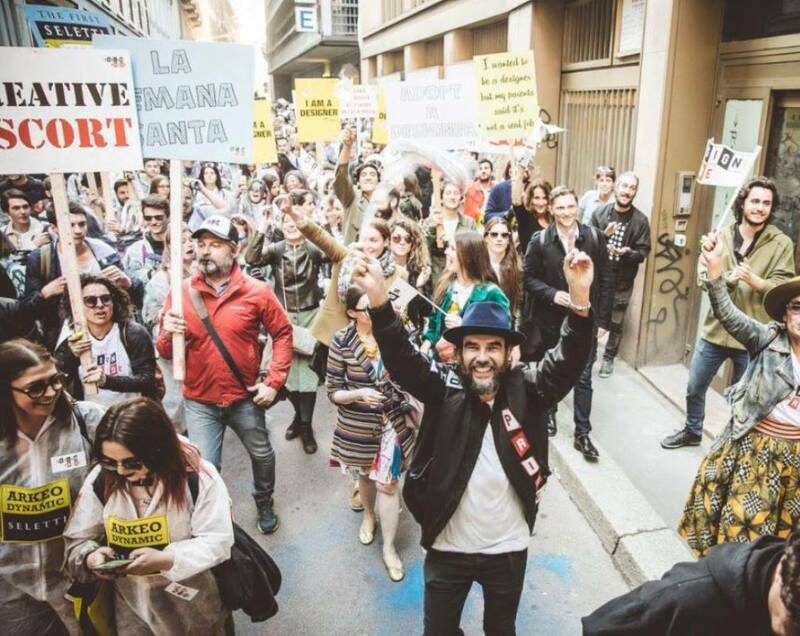 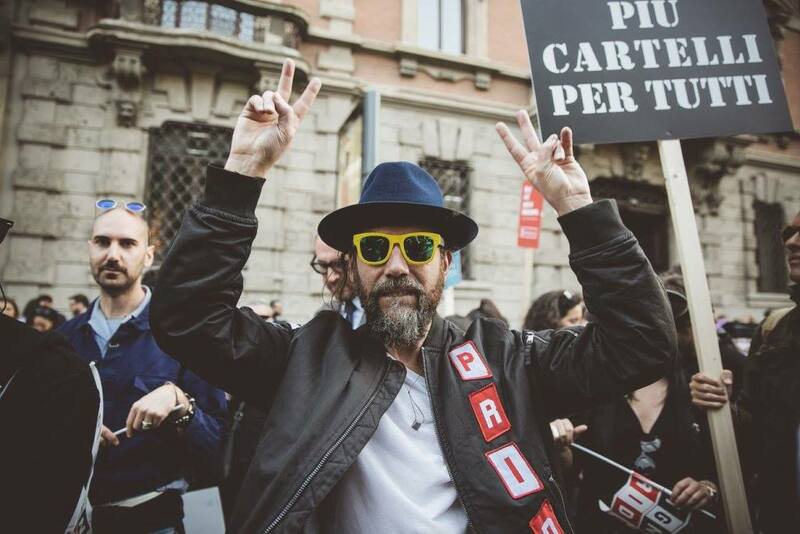 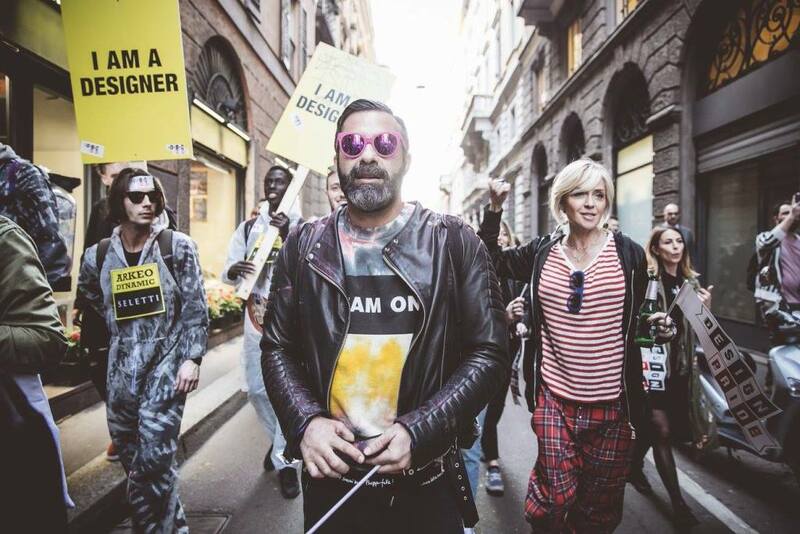 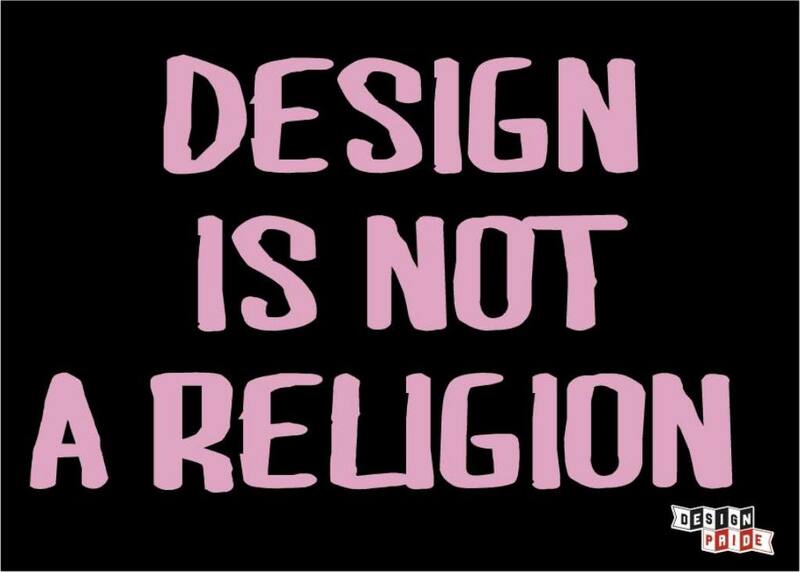 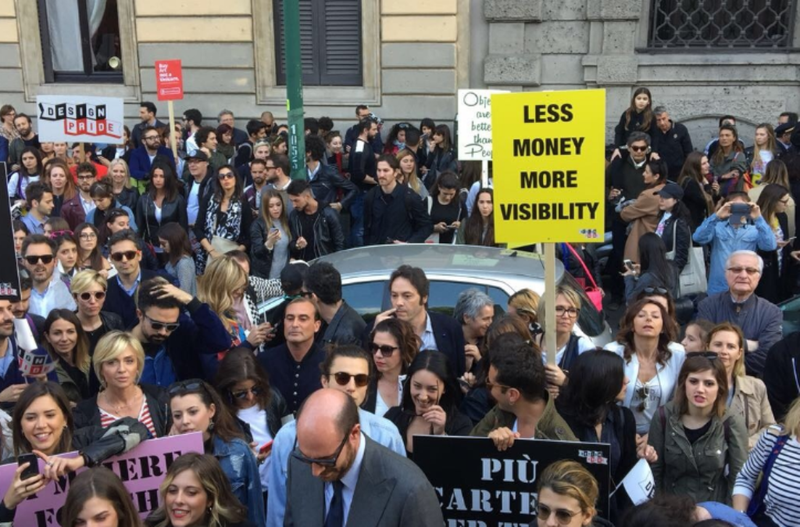 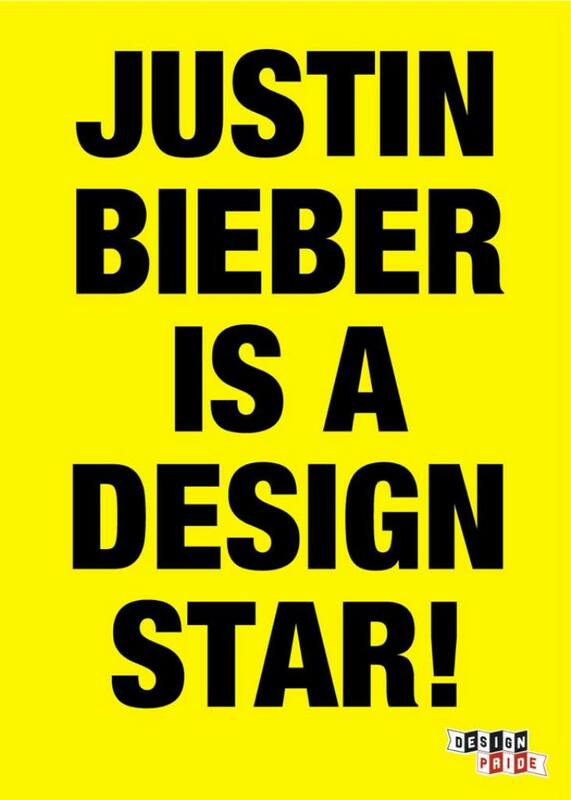 “Viva il design” – that is what Stefano Seletti and his team shouted just before starting the Design Pride Parade. 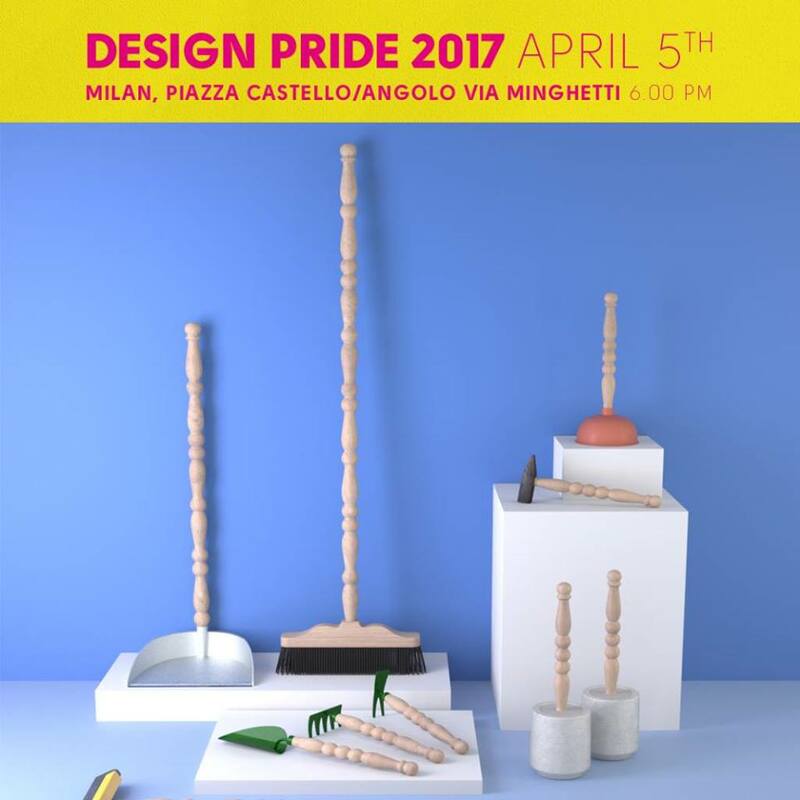 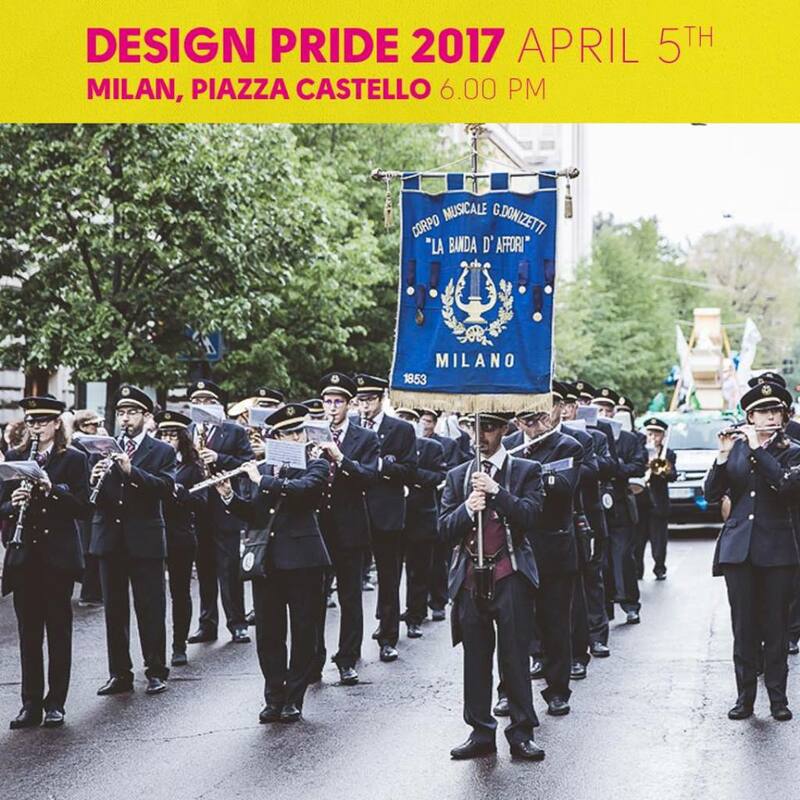 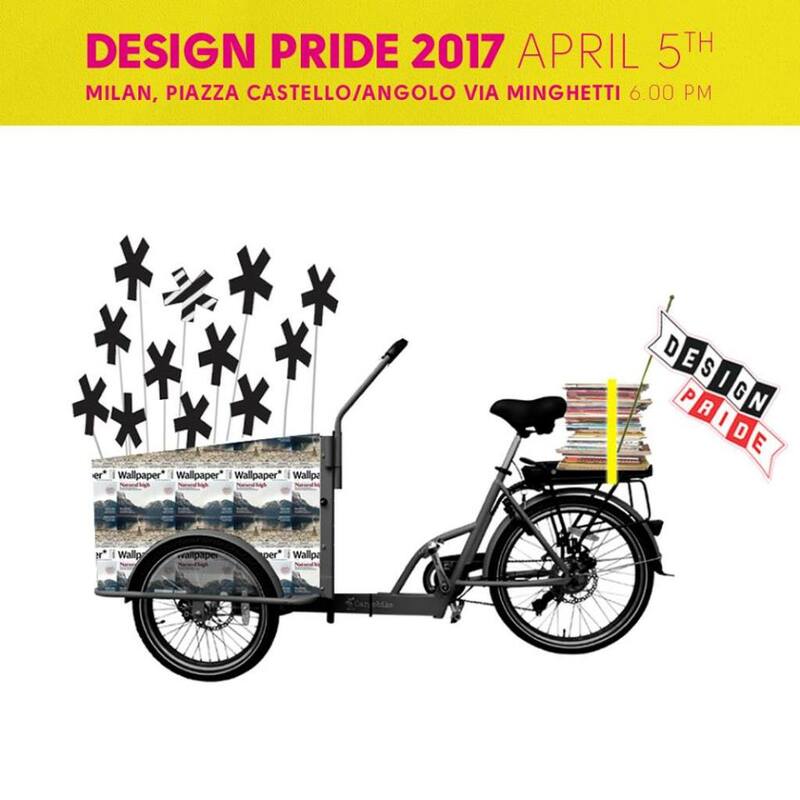 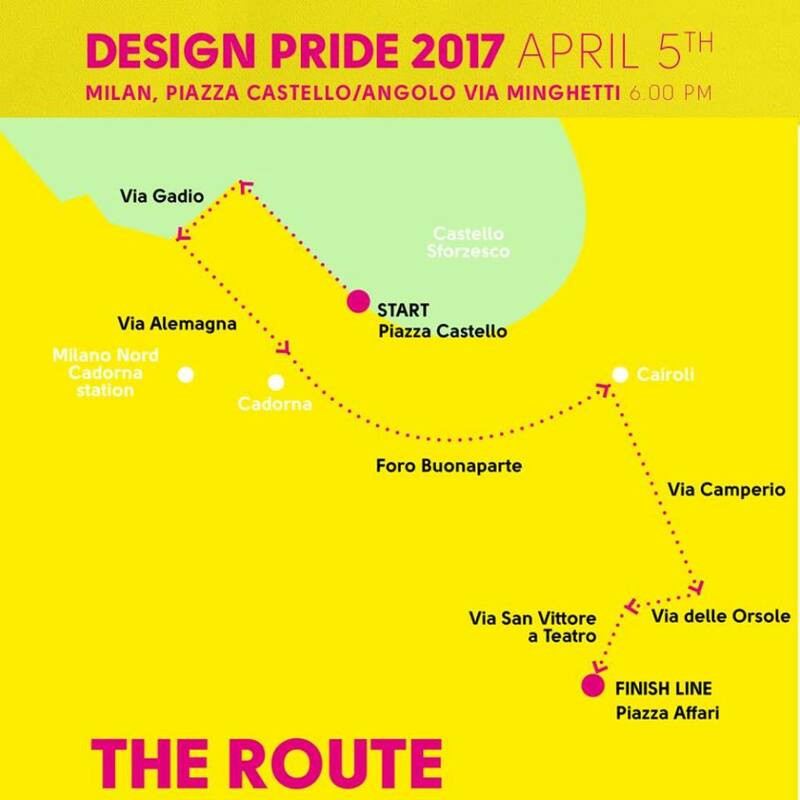 After the success of 2016 Milan Design Week, Design Pride has been back for this 2017 MDW. 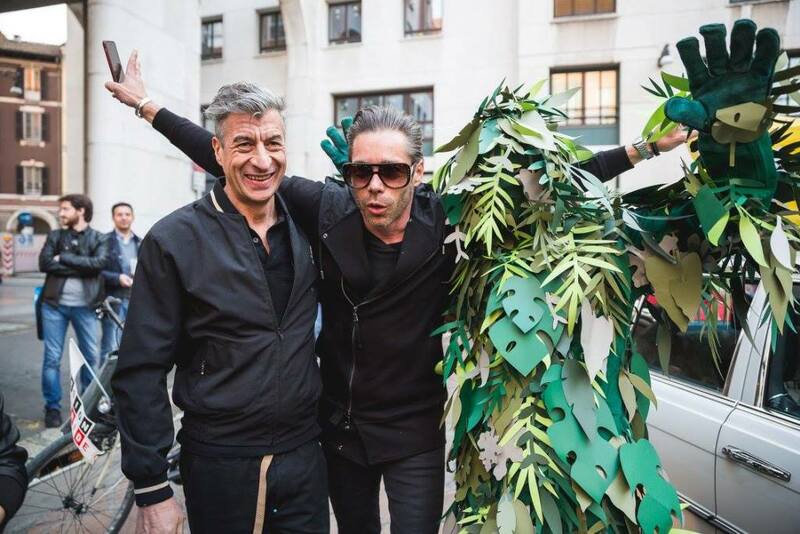 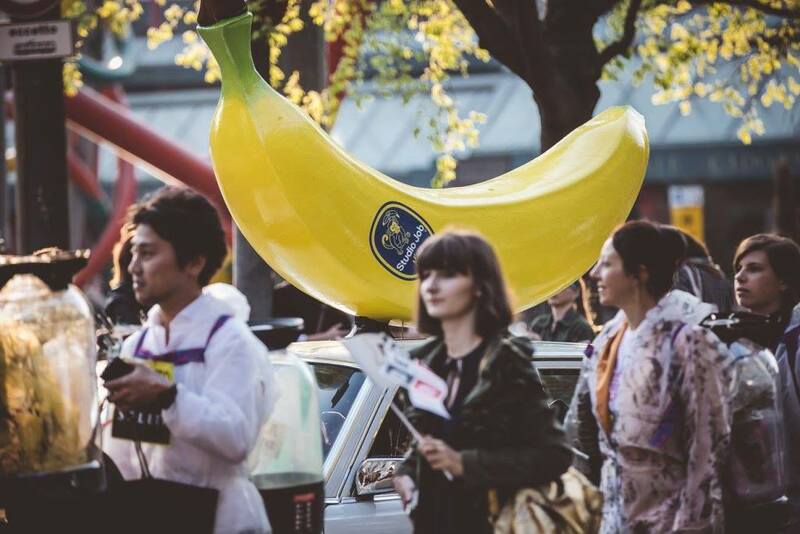 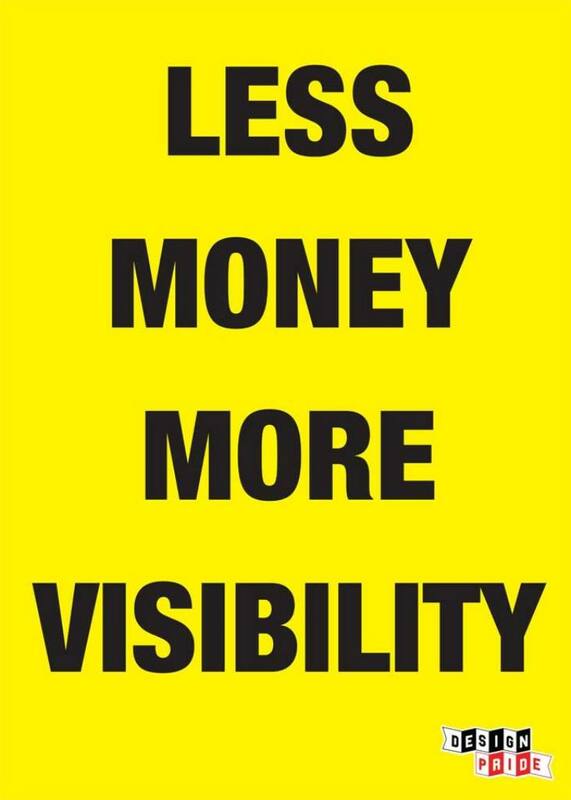 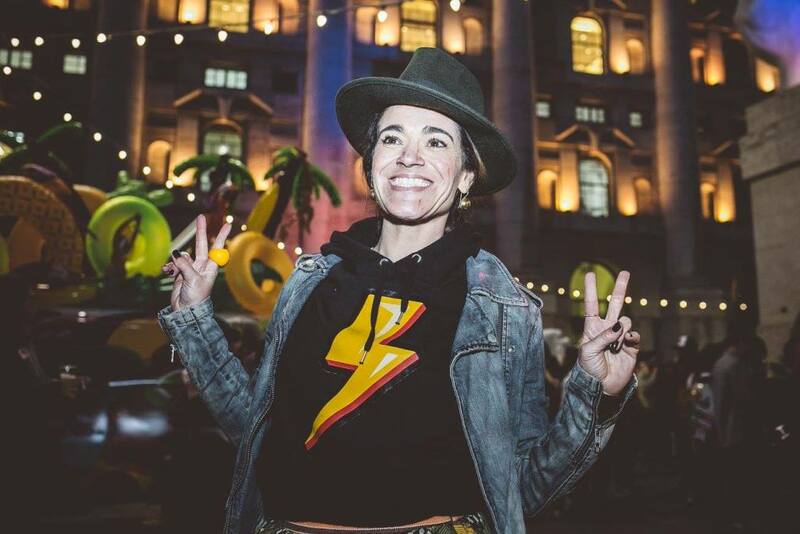 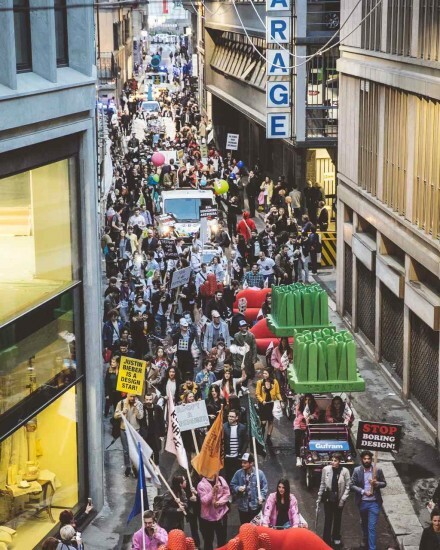 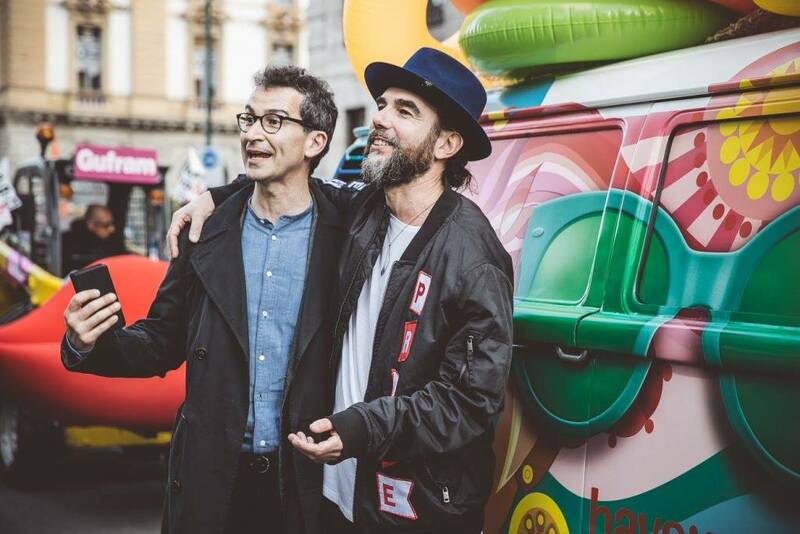 The new edition of the street parade has been promoted by design brand Seletti, by the non-profit association Wunderkammer and YOOX. 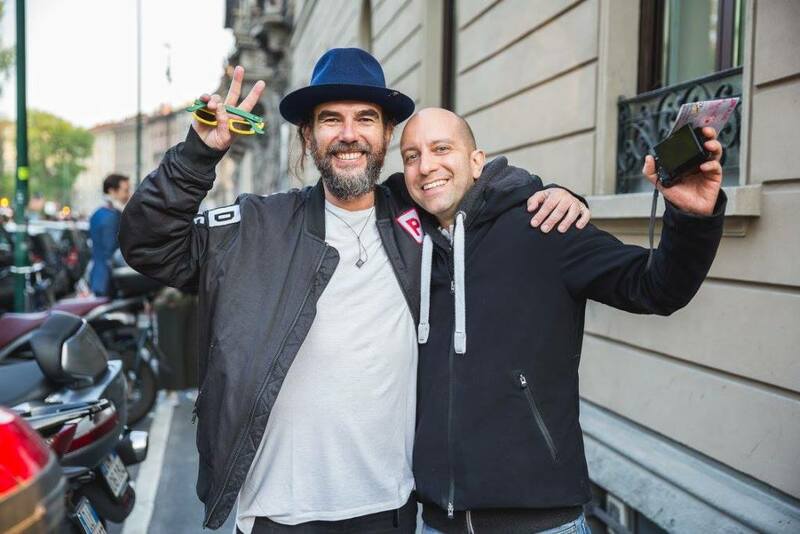 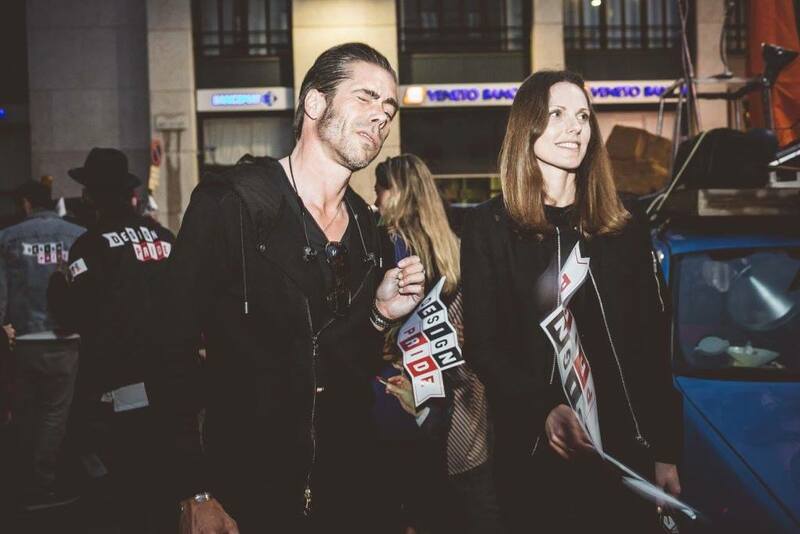 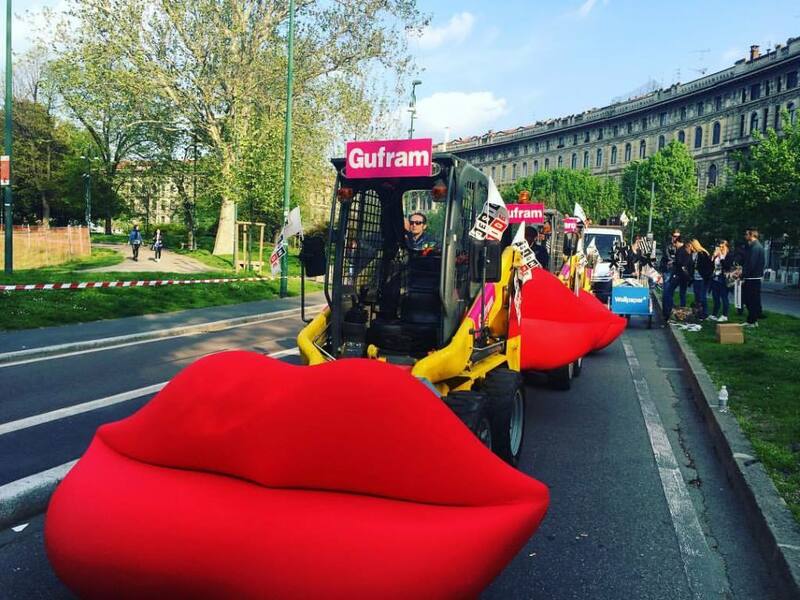 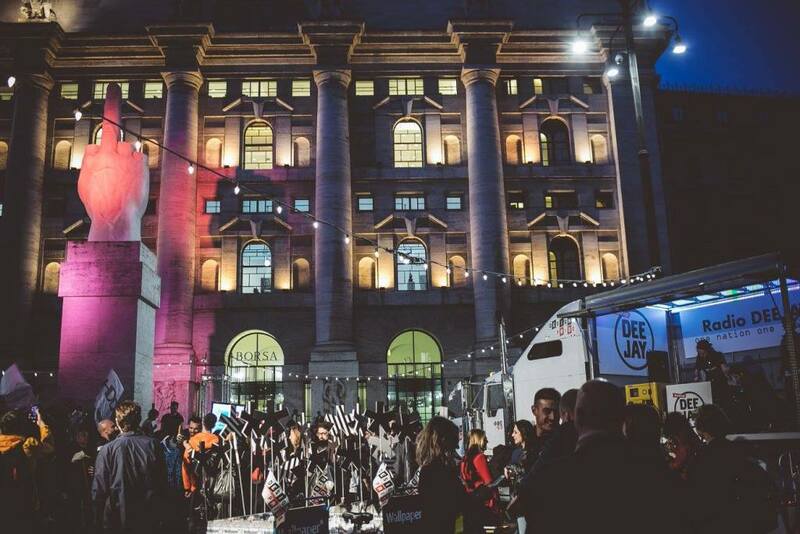 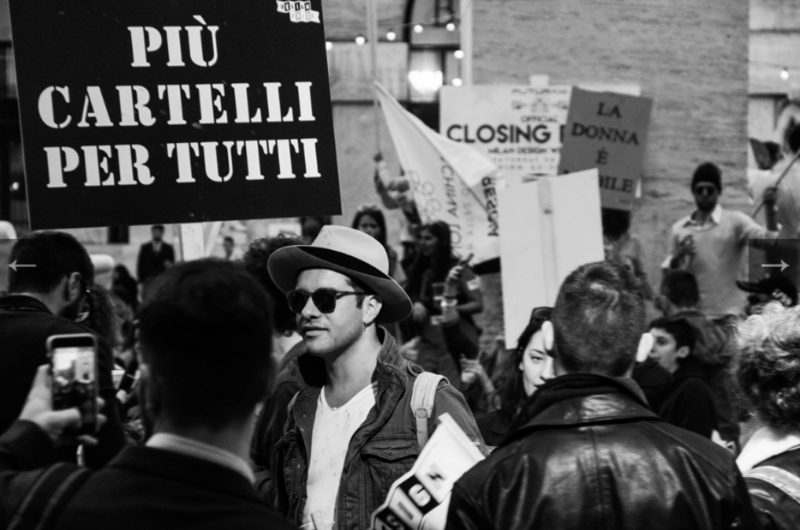 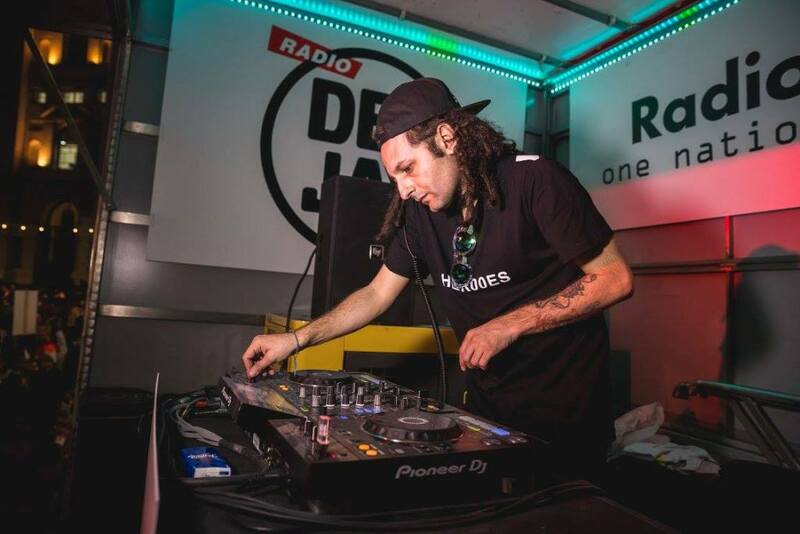 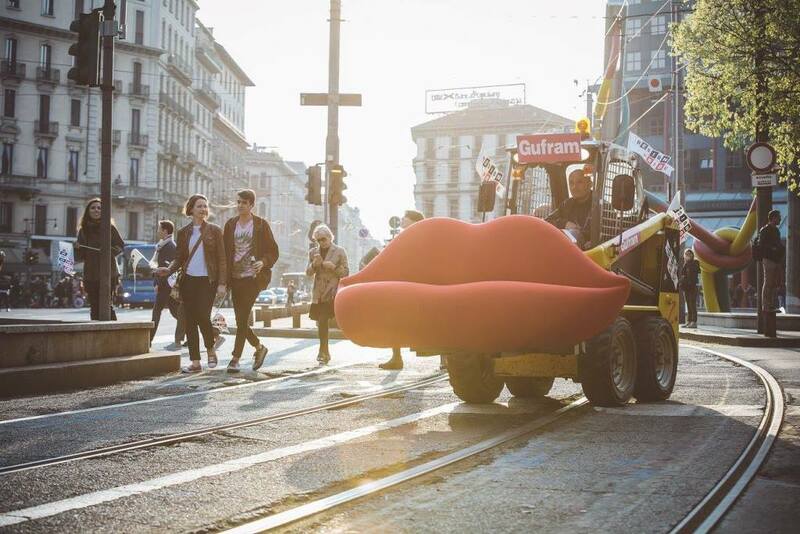 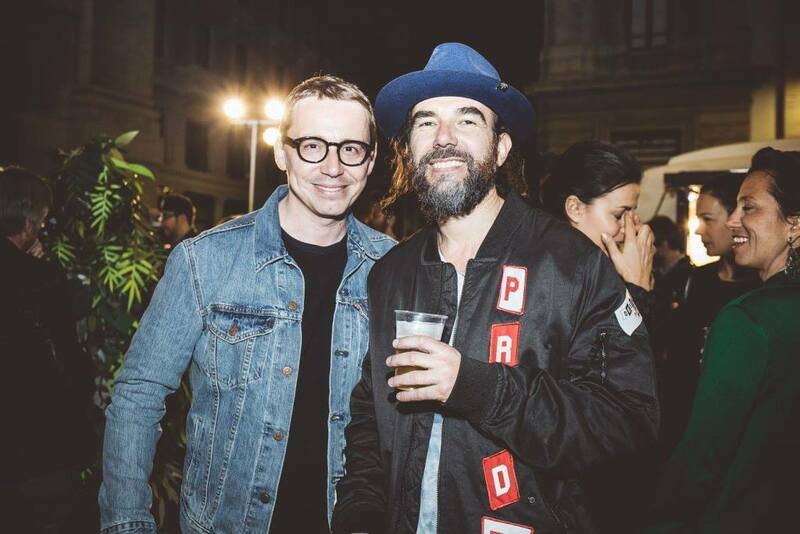 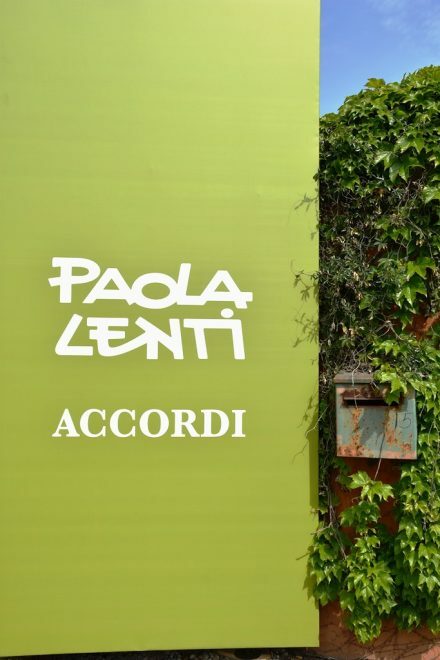 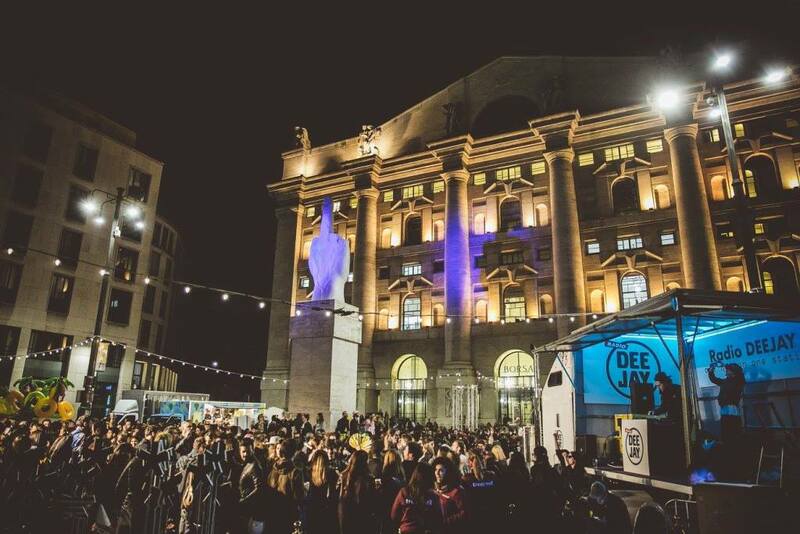 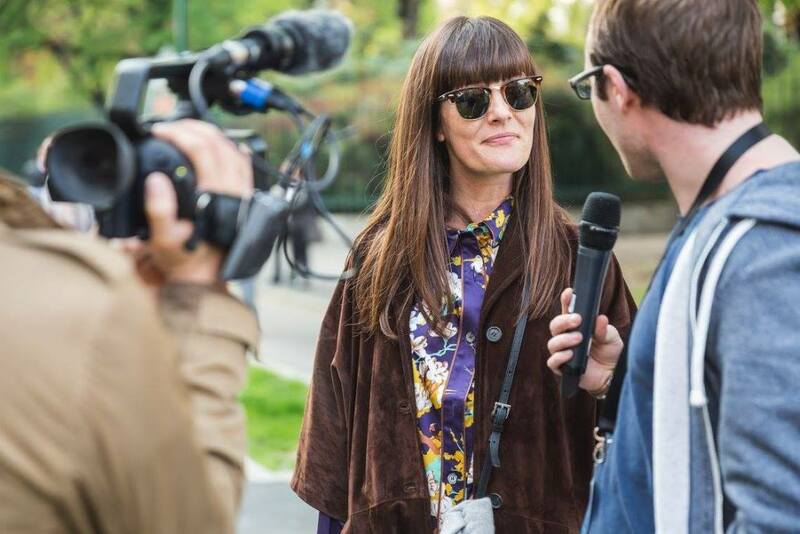 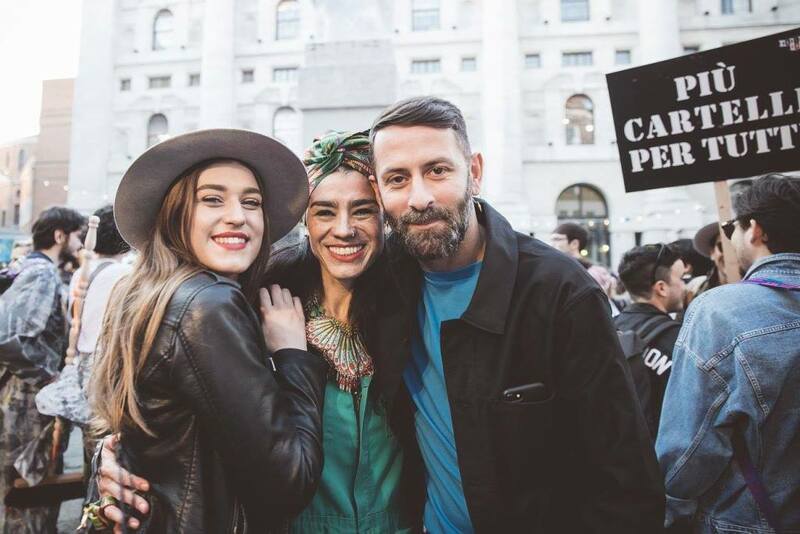 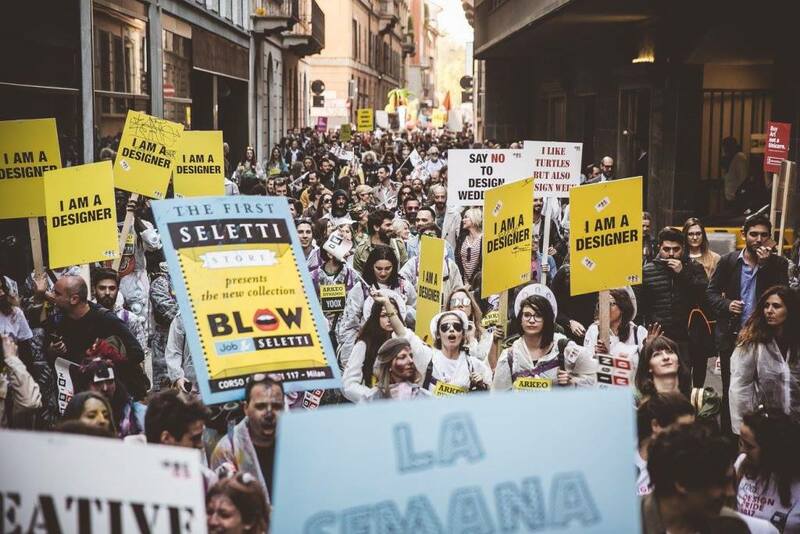 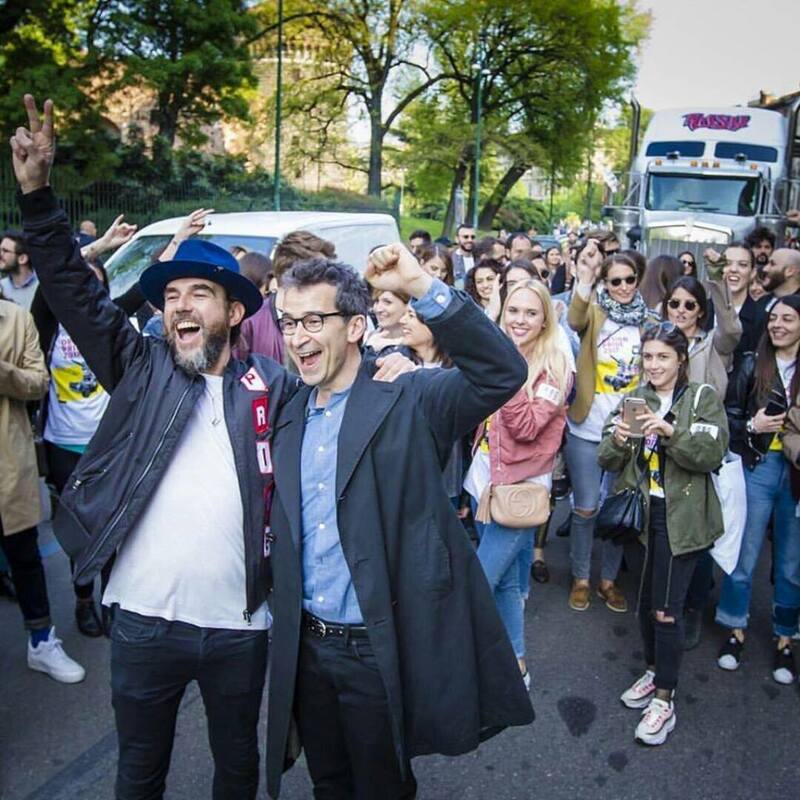 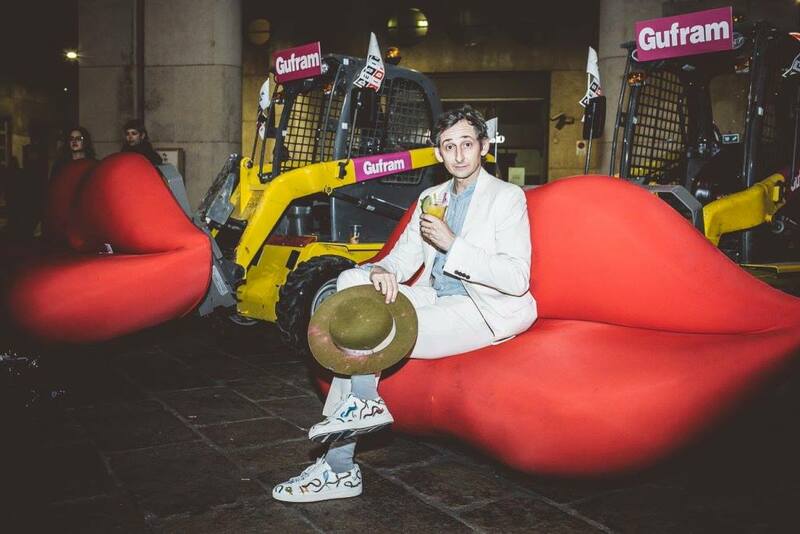 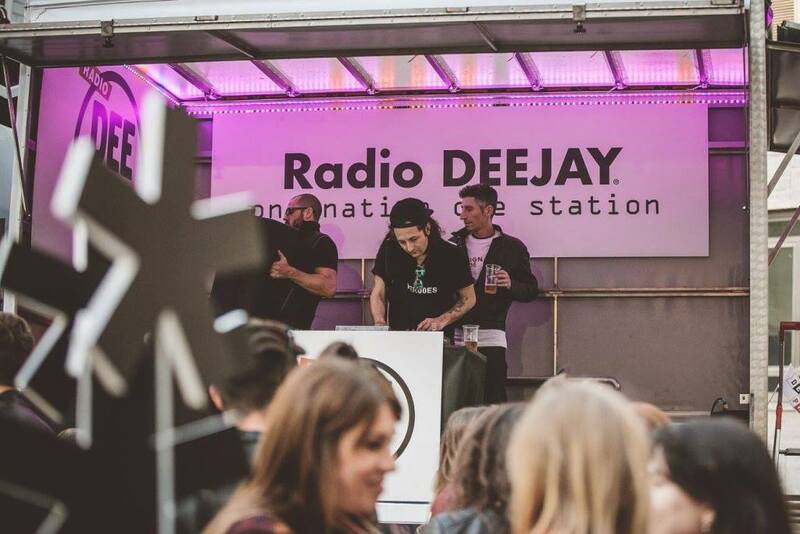 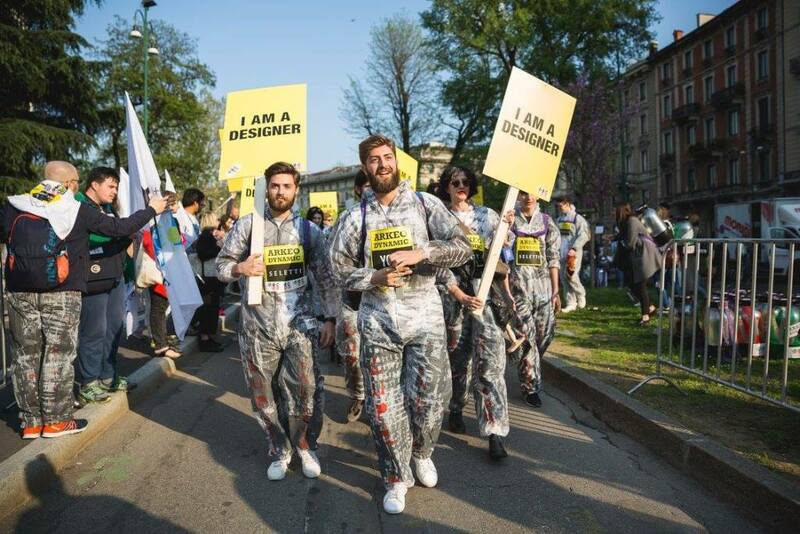 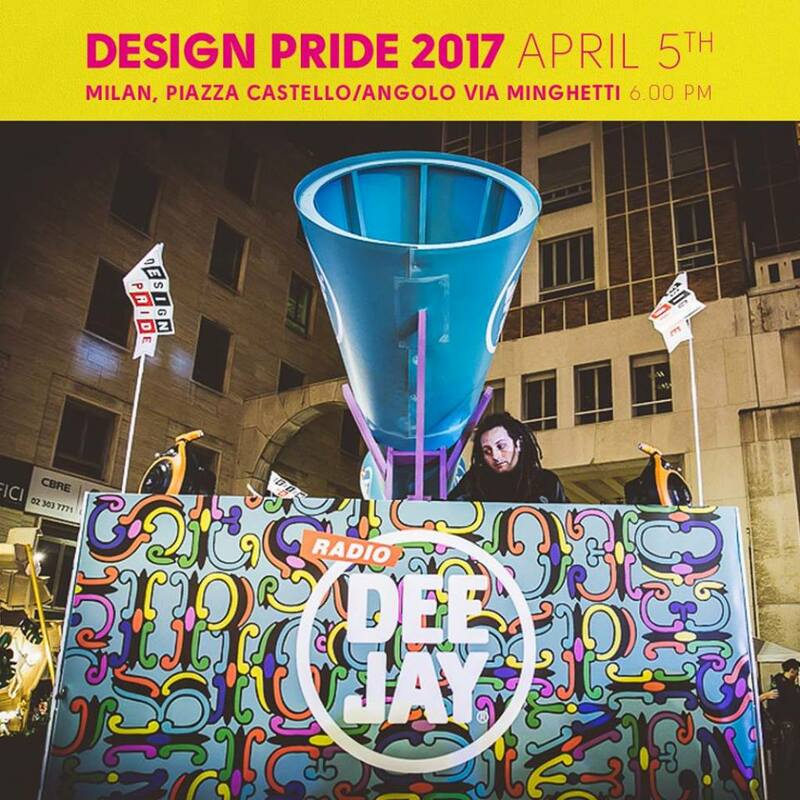 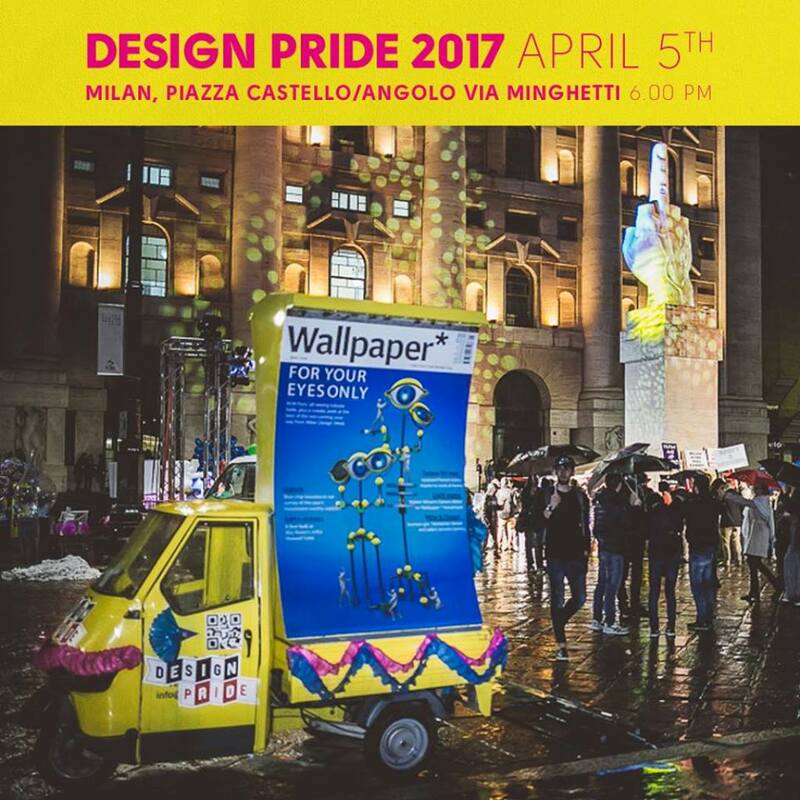 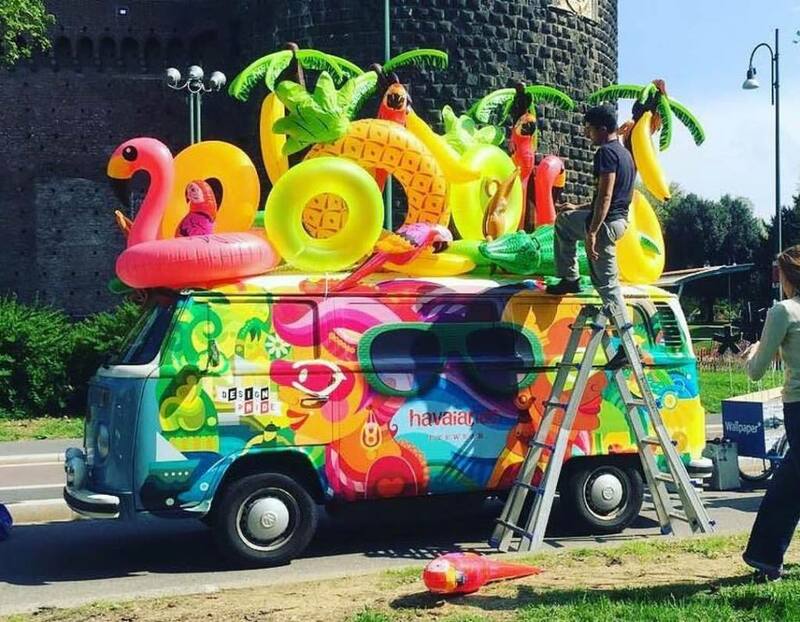 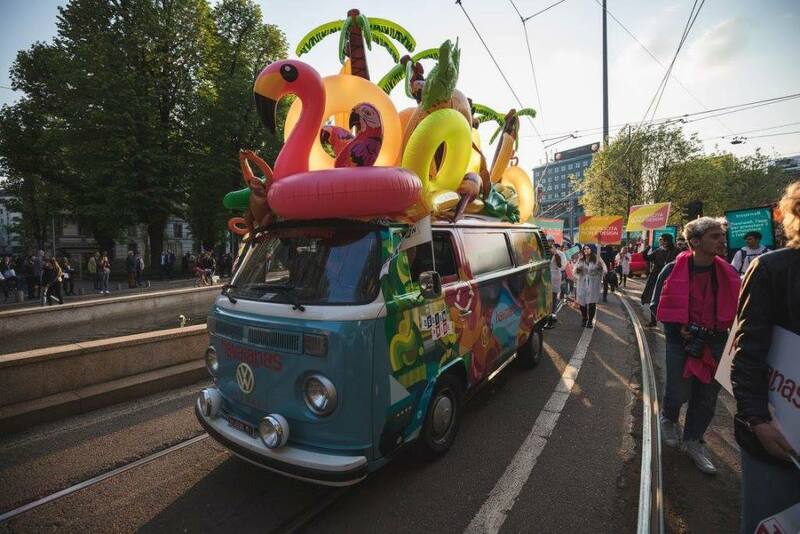 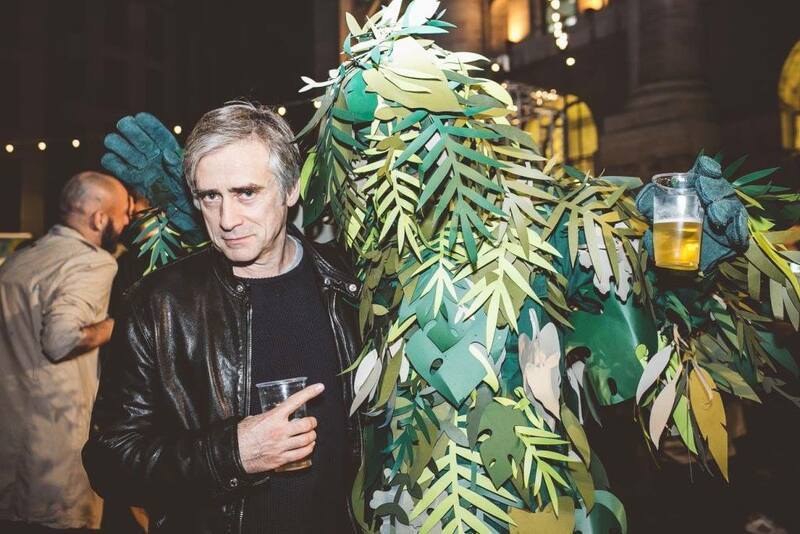 DESIGN PRIDE, the most democratic party of the Milan Design Week, realised in collaboration with Gufram, Havaianas, Radio Deejay, Treatwell and Wallpaper*, invaded the city with more than 3.000 people. 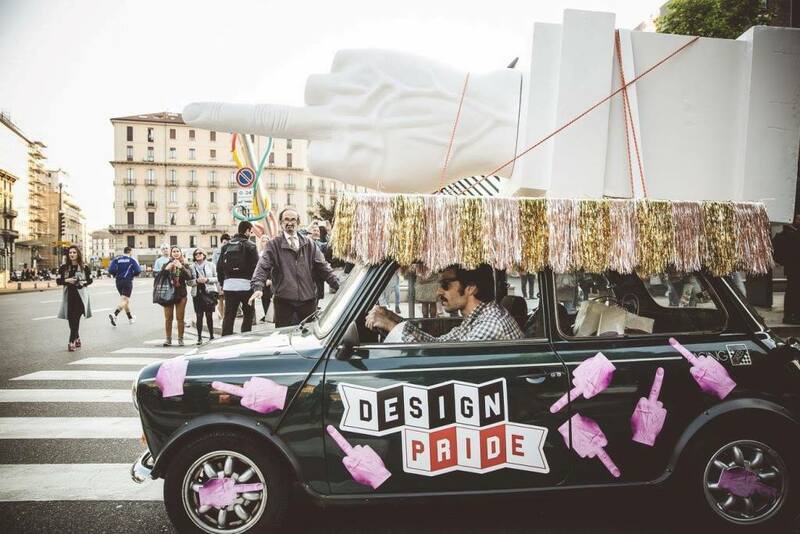 The colourful parade inaugurated the launch of the webpage designpride.org, an actual opportunity for young creatives to transform their ideas into objects to be sold on YOOX. 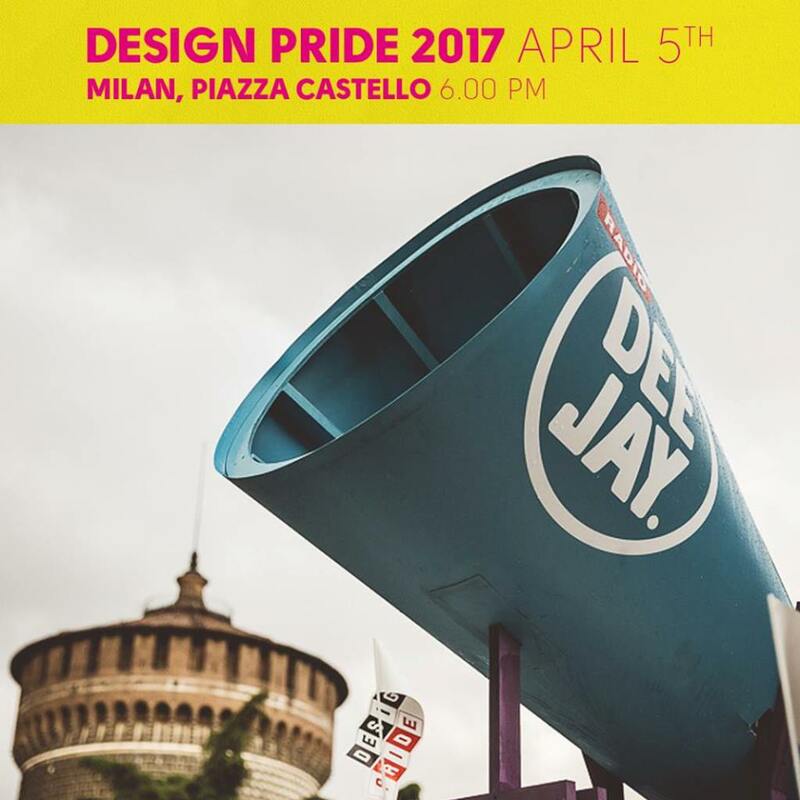 The DESIGN PRIDE, a big celebration of creativity, is part of “5VIE art + design” a new district geared towards design and innovation thanks to the support of the city of Milan. 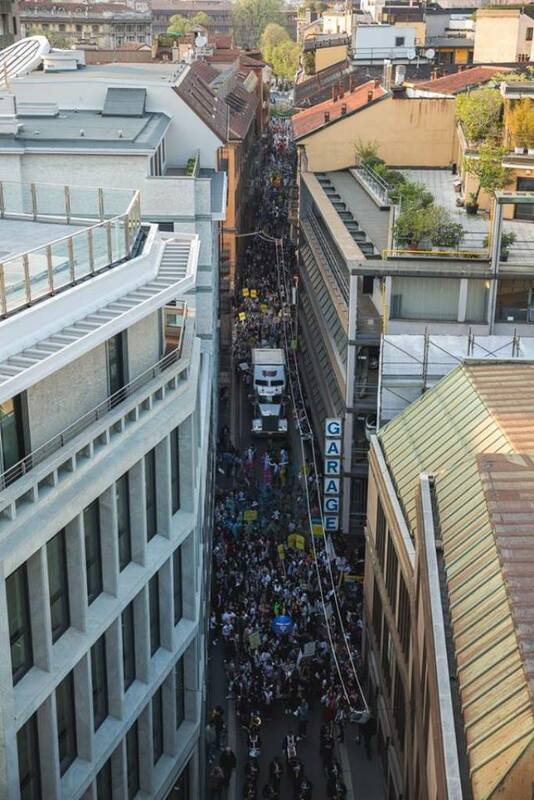 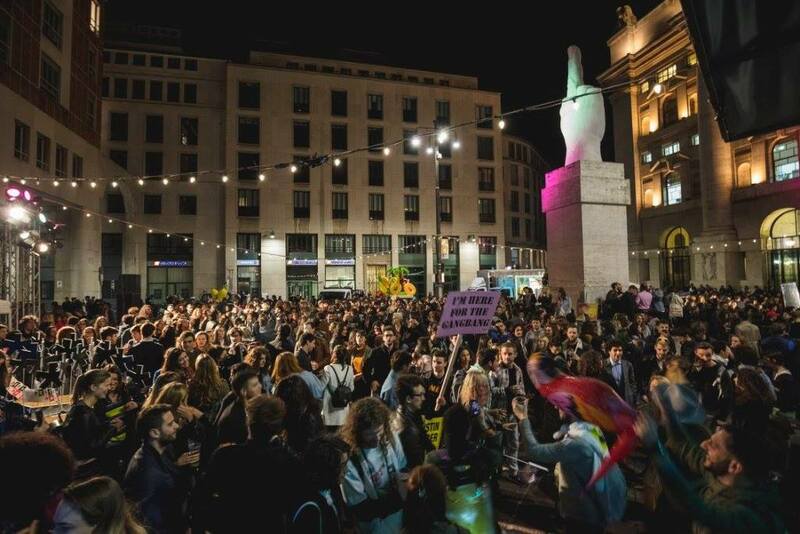 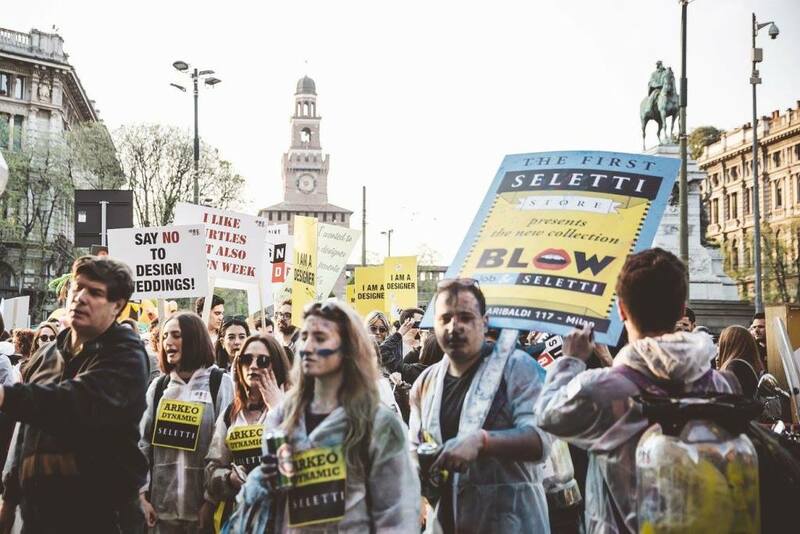 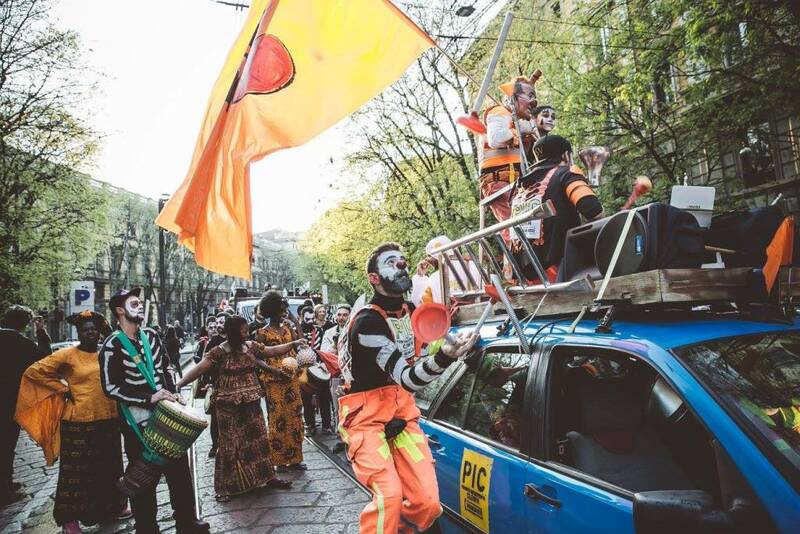 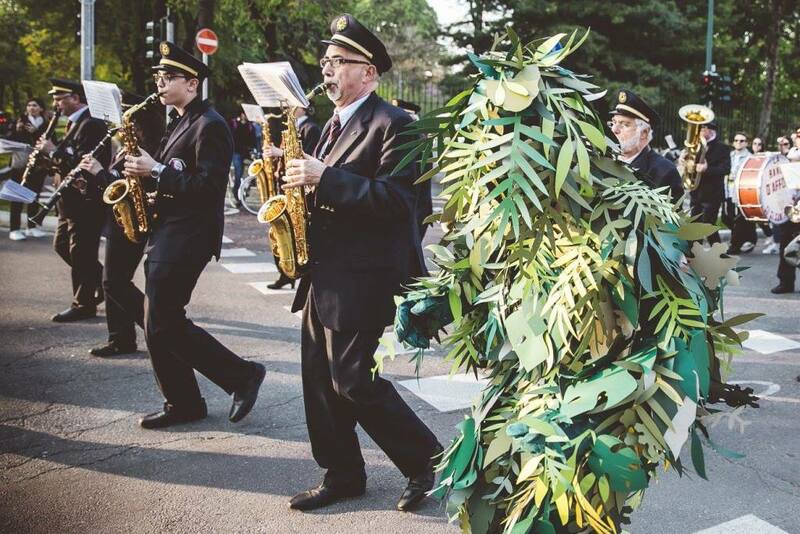 On Wednesday, April 5 around 6pm, more than 3.000 people invaded the streets of Milan – The colourful parade of floats, banners, music and performances left from Piazza Castello (corner of Via Minghetti) crossing the 5VIE district and ending its route at Piazza Affari with a big final party. 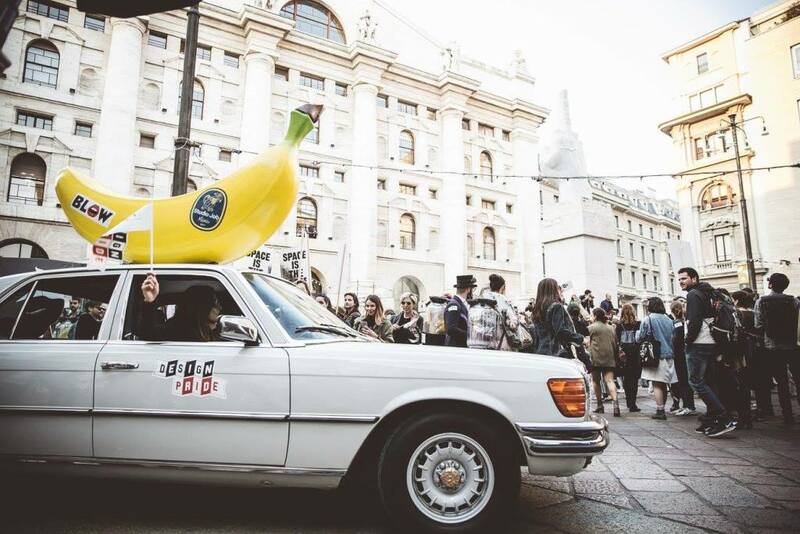 The procession was opened by an old Mini topped by the L.O.V.E. 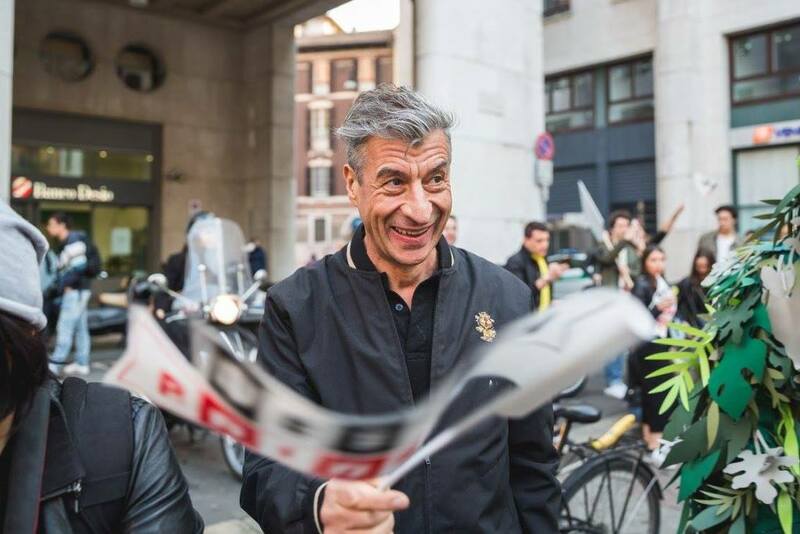 sculpture by Maurizio Cattelan, already the symbol of DESIGN PRIDE, followed by YOOX’s Milanese employees invited to participate and party, plus students from Universities and Design Schools from around the world carrying their projects on their back inside transparent “capsules”, metaphorical chests containing their ideas. 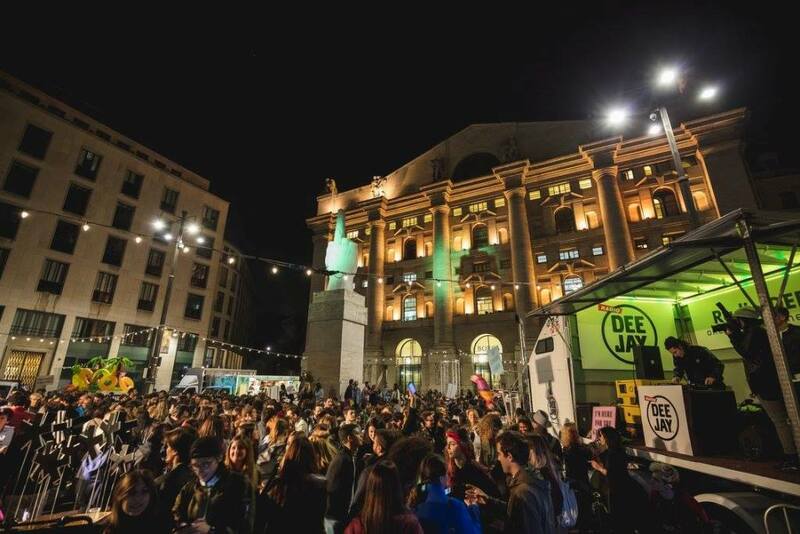 The army of students will be followed by Gufram, who invaded the streets of the city with its irreverent spirit; Havaianas marched with a colourful and playful wagon; Radio Deejay made the public dance with the Shorty deejay set all along the route and at Piazza Affari, inviting passers-by to join this huge public party; then Treatwell with its message of beauty and finally Wallpaper*, whose fleet of bikes featured the magazine’s imagery and the slogan ‘Fewer Walls, More Wallpaper*’. 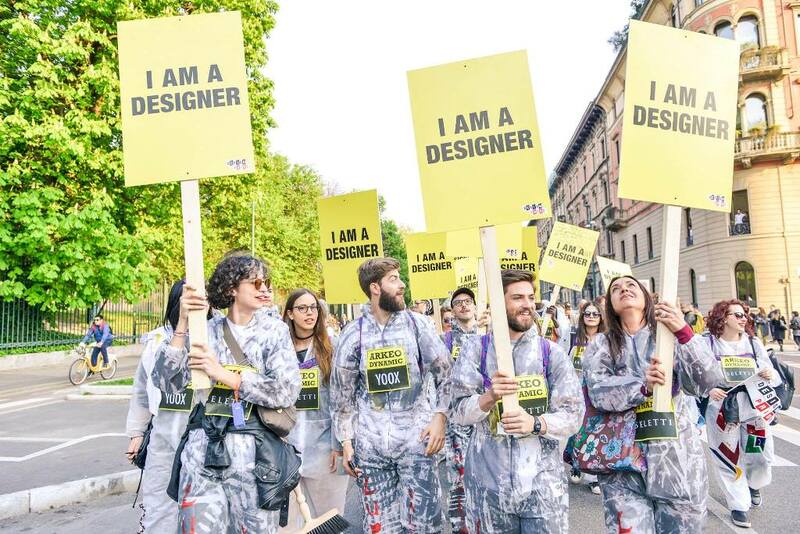 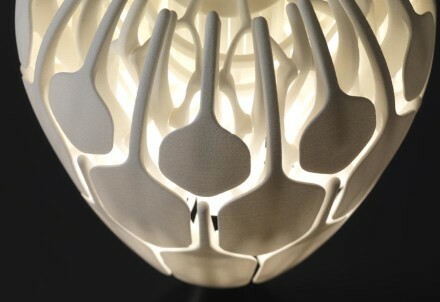 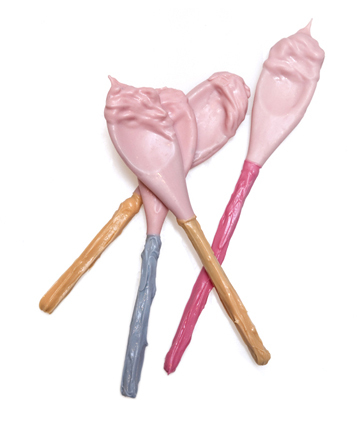 Once again, this year, many designers paraded with projects representing their creativity. 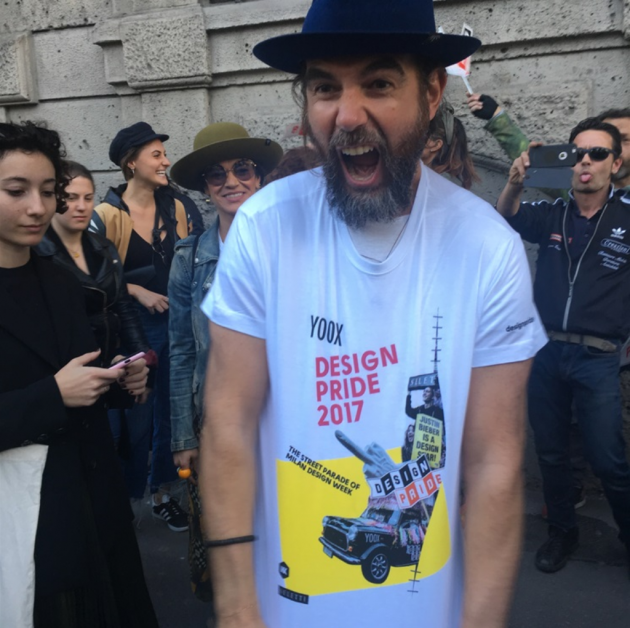 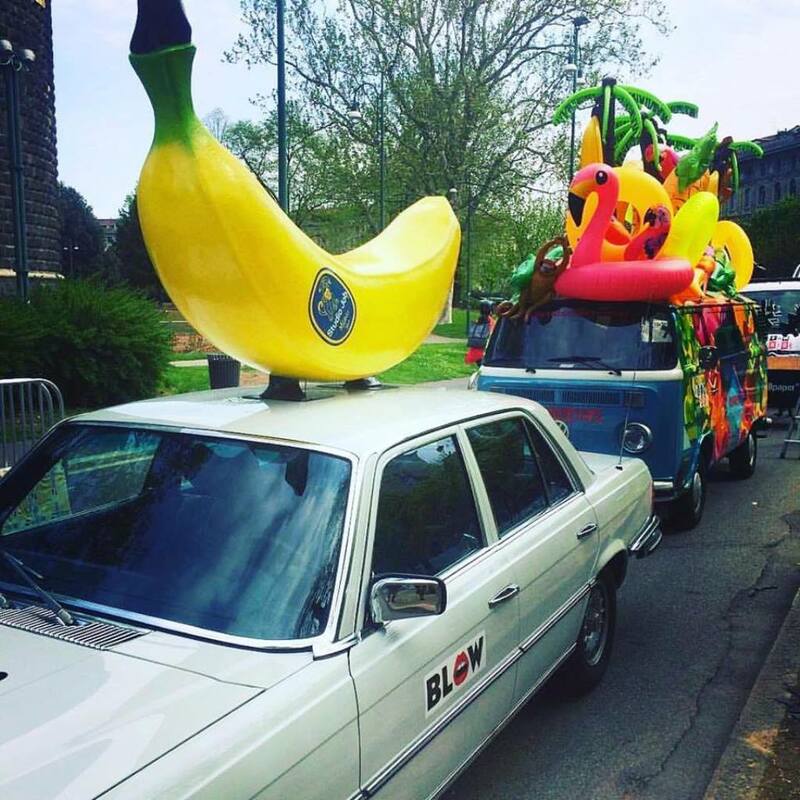 The group, led by Studio Job and its Banana Car, saw the participation (amongst others) of Antonio Aricò, BBMDS, Paola Marella, Cristina Celestino, CTRLZAK, H! 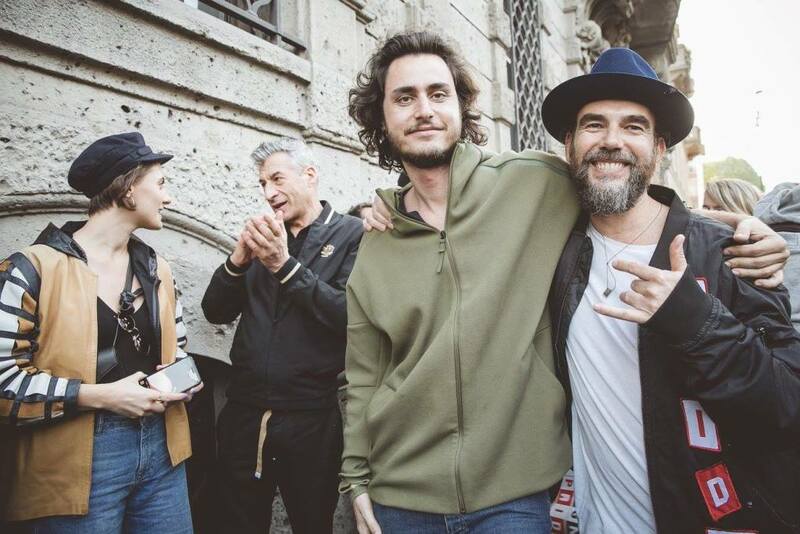 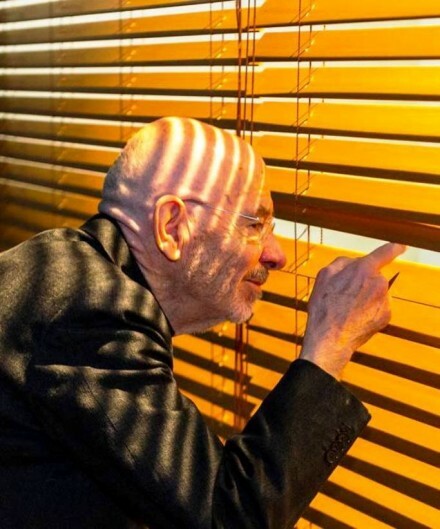 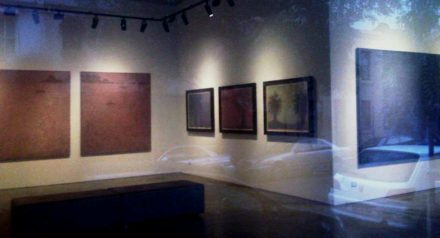 FIVE, Ilaria Innocenti, Marcantonio Raimondi Malerba, Gio Tirotto, Alessandro Zambelli, Zaven. 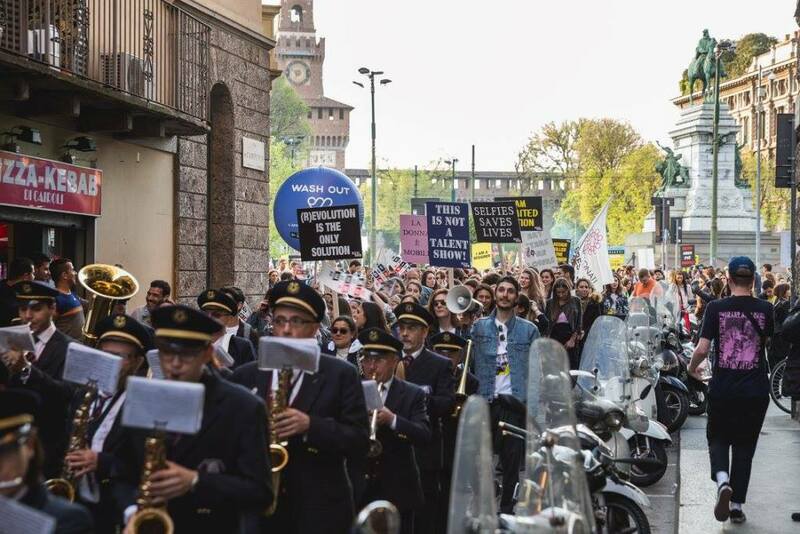 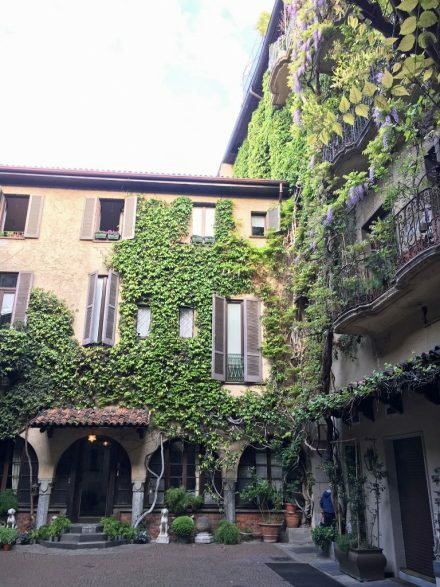 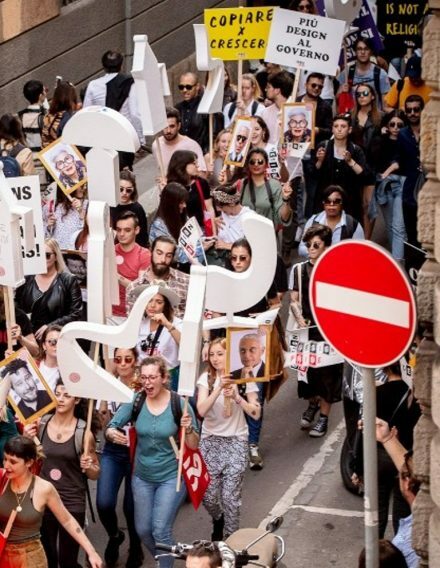 Music played a crucial part: singer Gaia Gozzi opened the procession with a performance; Stefano Fontana made the participants dance the whole time and Banda d’Affori gave the tune to the march. 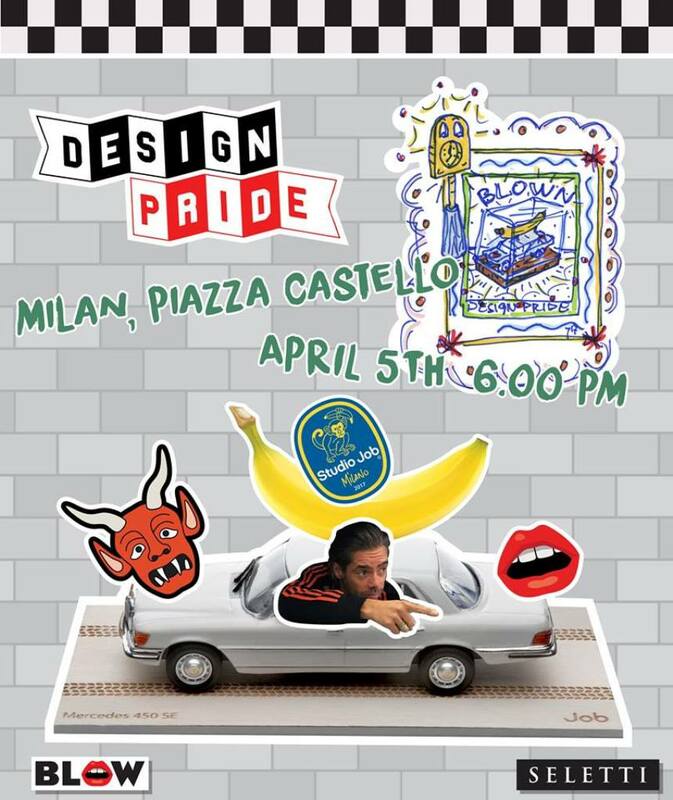 A new aspect of this edition was the DESIGN PRIDE willingness to focus on the dialogue between designers, students, universities and companies, thus becoming a platform to exhibit the good side of globalization: an opportunity for creative people from all around the world to present their projects, working on the theme traditional craftsmanship enhancement of their country of origin. 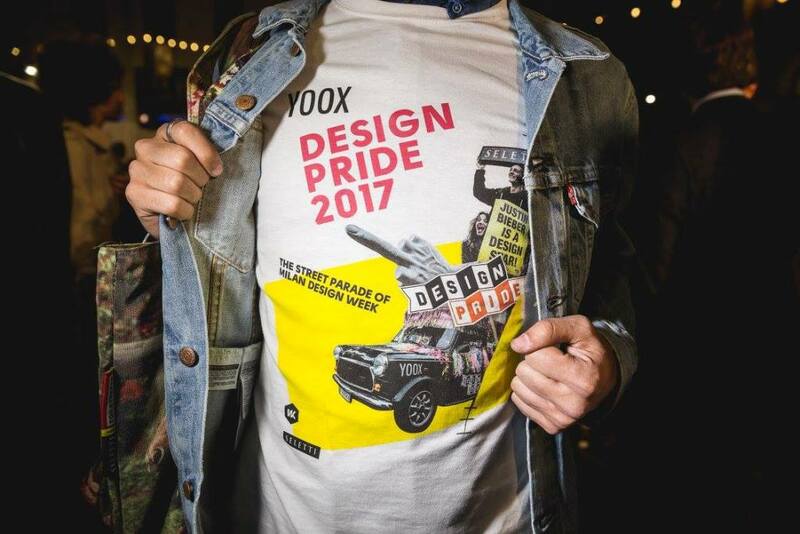 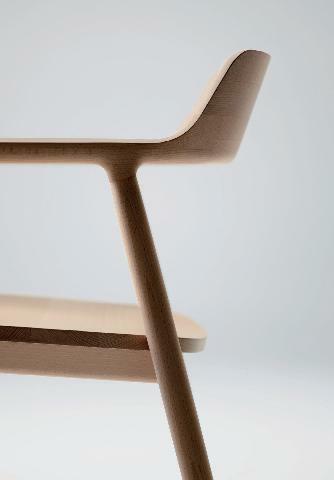 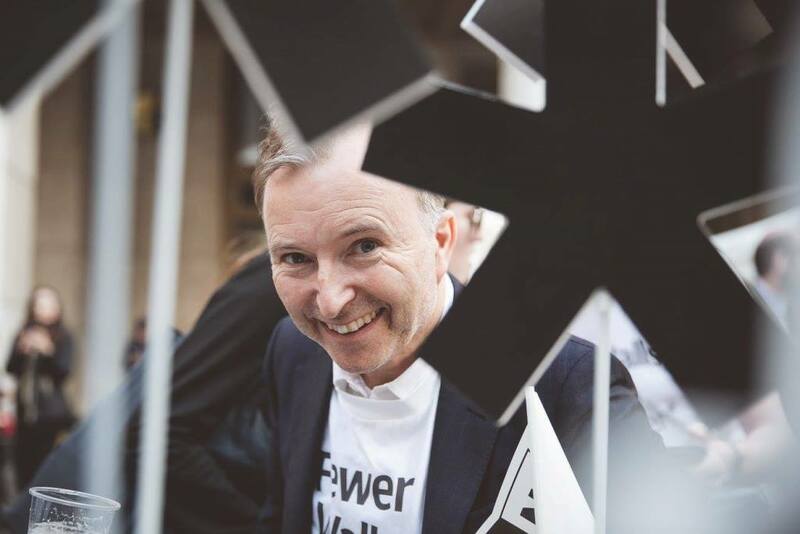 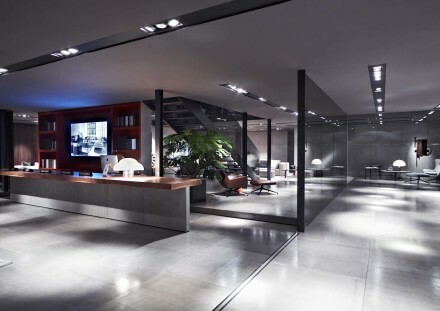 This virtuous cycle ends for young designers with a favorable opportunity thanks to the involvement of YOOX, who will distribute the selected products worldwide, by positively promoting local artisans’ talent. 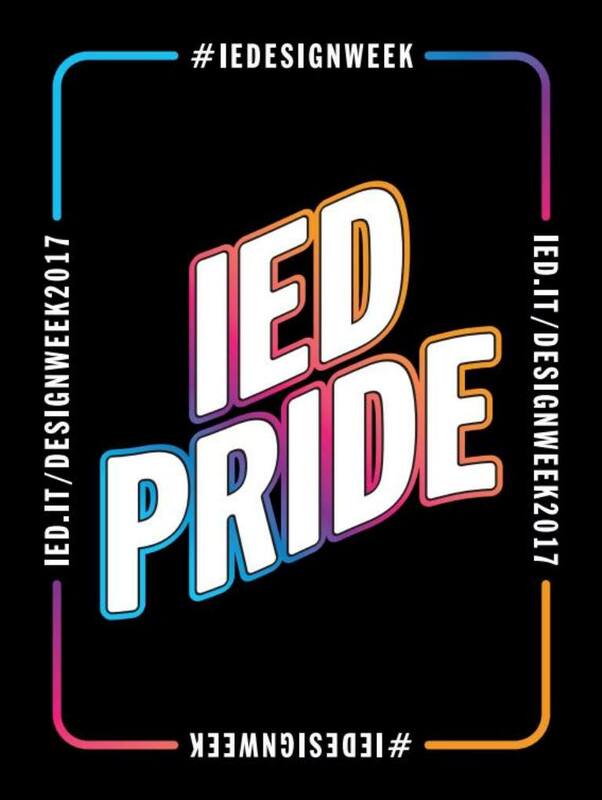 Universities students, design schools and academies students from all around the world had a great opportunity to make their work known through an unconventional showcase trough DESIGN PRIDE and directly being funneled into the market through one of the major online sales channels. 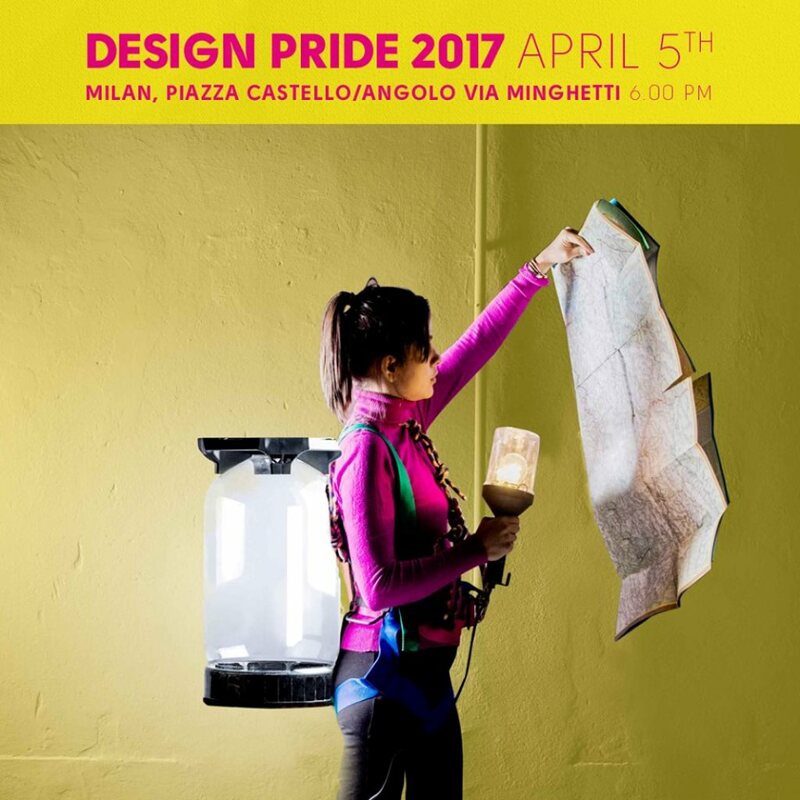 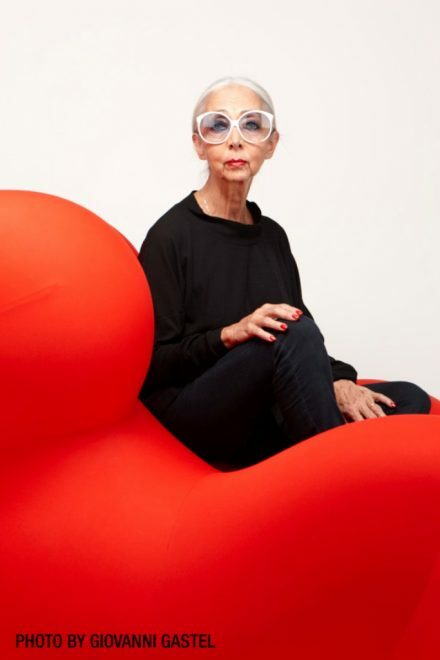 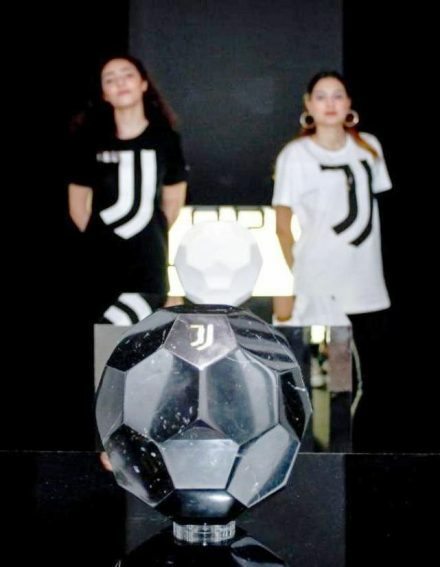 With this new edition, the DESIGN PRIDE aspired to become an international project, by becoming the protagonist of some of the most interesting design events, festivals and design weeks in the world.